Does Jon Stewart Really Think Truman Was A War Criminal? Unlike many conservatives, I love The Daily Show with Jon Stewart. He’s a very funny man, backed by an outstanding research staff. His views skew hard to the left, but he’s not an America-basher like Michael Moore. The idea that he’s the primary source of information for legions of college students is a little scary… but anyone who watched the April 28 episode got to see a very spirited and substantive debate on the issue of interrogation techniques. Because of careful preparation and home-field advantage, Stewart often runs circles around his guests. But Cliff May of the Foundation for the Defense of Democracies more than held his own, and in the process very effectively made the point that different people can honorably draw lines in different places. He’s certainly not the only American who would take that view, but it’s a useful reminder that the most vocal and popular criticism of the Bush administration’s war on terror policies comes from people who, if they were being as honest as Stewart, would also judge Lincoln (suspension of habeas), FDR (internment), and Truman (use of nuclear weapons) as war criminals or tyrants or worse. Somehow I think Stewart would moderate his opinions about Truman if he took a little more time to think about it. My take? Truman certainly wasn’t a war criminal. The Hiroshima bomb undeniably saved many American lives compared to an invasion, and may even have saved Japanese lives on a net basis. I’m more troubled by Nagsaki just three days later. 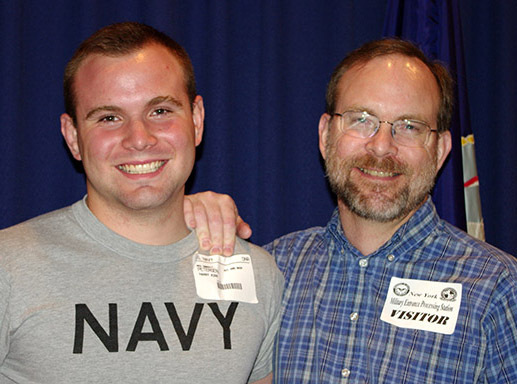 Seaman Recruit Harry Petersen with his proud father, minutes after being sworn in. After two tentative reporting dates came and went, Harry shipped out today following a brief swearing-in ceremony at Fort Hamilton, near the base of the Verrazano Bridge in Brooklyn. Also there to see Harry off were the Web Goddess, who took the picture; as well as Harry’s mother, Debra; his brother, Kyle; and Brenda, a family friend since Harry was a toddler. No photography was allowed during the ceremony itself, so I’m just going to have to remember the look on his face as he and about 20 other young men and women, headed for all of the armed services, pledged to support and defend the Constitution of the United States against all enemies, foreign and domestic, and to bear true faith and allegiance to the same. It’s unlikely that Harry will see this until he graduates from boot camp in eight weeks, and I don’t have much to add to what I said in a previous post, so I’ll keep this brief. Godspeed, son, and thank you for your service to our country. Shades of United Airlines Flight 93, as the American crew apparently fought back and retook the Maersk Alabama from the armed pirates. But there are still more than 200 hostages on other ships being held by Somali pirates, and the problem is not going to go away by itself. “The pirates have a great business model that works for them: Seize ships, get ransom, make millions,” said Adm. Rick Gurnon, head of the Massachusetts Maritime Academy, where Captain Richard Phillips had trained. 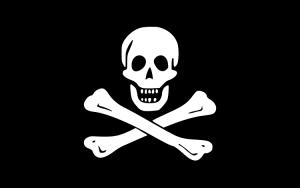 Ultimately, the pirates will have to be defeated on shore. It’s been done before — the Marine Corps and the United States Navy both fought pirates as one of their first missions, on (and off) a different coast of Africa. Despite my son’s desire to have stories to tell his grandchildren, he probably won’t personally get a chance to fight pirates. His enlistment got delayed again, but he now has written orders to report on April 28 to start basic training. He’ll be in the Navy’s nuclear power school for a couple of years before serving on a nuclear submarine or aircraft carrier. 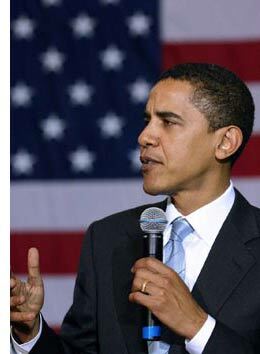 continued, as recently as Saturday, his predecessor’s policy of pilotless drone missile strikes at Taliban and al Qaeda fighters in Pakistan. Credit where credit is due: Thank you, President Obama. But in the long run, America’s national security depends as much on our economy as it does on our military prowess. And on that score, my Obama-inspired surprises have been less pleasant. I believe President Obama has proposed the most significant shift toward collectivism and away from capitalism in the history of our republic. I believe his budget aspires to not merely promote economic recovery but to lay the groundwork for sweeping expansions of government authority in areas like health care, energy and even daily commerce. If handled poorly, I’m concerned this budget could turn our government into the world’s largest health care provider, mortgage bank or car dealership, among other things. The problem is this: Every time the government takes some of the trouble out of performing the functions of family, community, vocation, and faith, it also strips those institutions of some of their vitality–it drains some of the life from them. It’s inevitable. Families are not vital because the day-to-day tasks of raising children and being a good spouse are so much fun, but because the family has responsibility for doing important things that won’t get done unless the family does them. Communities are not vital because it’s so much fun to respond to our neighbors’ needs, but because the community has the responsibility for doing important things that won’t get done unless the community does them. Once that imperative has been met–family and community really do have the action–then an elaborate web of social norms, expectations, rewards, and punishments evolves over time that supports families and communities in performing their functions. When the government says it will take some of the trouble out of doing the things that families and communities evolved to do, it inevitably takes some of the action away from families and communities, and the web frays, and eventually disintegrates. The exceptionalism has not been a figment of anyone’s imagination, and it has been wonderful. But it isn’t something in the water that has made us that way. It comes from the cultural capital generated by the system that the Founders laid down, a system that says people must be free to live life as they see fit and to be responsible for the consequences of their actions; that it is not the government’s job to protect people from themselves; that it is not the government’s job to stage-manage how people interact with each other. Discard the system that created the cultural capital, and the qualities we love about Americans can go away. In some circles, they are going away. Some level of increased government intervention is necessary to avoid catastrophic damage to the global economy. But the Obama administration, having decided not to let a good crisis go to waste, has set off on a course that will vastly increase the scope of government power. This needs to be resisted. It helps make it easier to swallow if I remind myself that in most cases, the emergency funding is not a handout, but rather an investment (albeit a highly risky one). The American people own 80% of AIG, which not long ago was a stodgy, important, profitable business. If it can become one again, the American people will participate in its recovery. But because of the unfortunate need to shovel money into risky ventures to keep the gears of commerce turning, this is exactly the wrong time to be shoveling even more money into risky attempts to remake the healthcare system and renovate planetary climate. Certainly there are important and useful ways that the government can and should affect healthcare and climate/energy policy. But Ambassador Bolton is right — the more we spend, the more we will devalue the currency that for decades has been one of the most powerful symbols of “American exceptionalism,” which Bolton also riffs on in the video. The 10-minute video is worth watching despite the conspiracy-theory posturing of host Glenn Beck. At least twice during the video, Beck asks rhetorical questions along the lines of, “am I crazy to think this?” Bolton then restates Beck’s thesis in less incendiary language, and withholds whatever opinion he may have about Beck’s craziness. This is a good time to remember who we are, or rather just a few small facts of who we are. We are the largest and most technologically powerful economy in the world, the leading industrial power of the world, and the wealthiest nation in the world. “There’s a lot of ruin in a nation,” said Adam Smith. There’s a lot of ruin in a great economy, too. 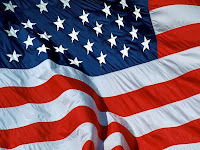 We are the oldest continuing democracy in the world, operating, since March 4, 1789, under a vibrant and enduring constitution that was formed by geniuses and is revered, still, coast to coast. We don’t make refugees, we admit them. When the rich of the world get sick, they come here to be treated, and when their children come of age, they send them here to our universities. We have a supple political system open to reform, and a wildly diverse culture that has moments of stress but plenty of give. The point is not to say rah-rah, paint our faces blue and bray “We’re No. 1.” The point is that while terrible challenges face us—improving a sick public education system, ending the easy-money culture, rebuilding the economy—we are building from an extraordinary, brilliant and enduring base. I’ve heard a lot of criticism about America, and our national security policy, and all that, and much of that criticism is justified. But the fact is, America is the greatest force for good in the history of the world. Yes. My preferred formulation has always been, “America is the greatest force for good in the world this side of the Almighty.” But McCain has a bigger soapbox and a far more noble resume — I’ll sign on to his version. Other cultures are worthy of respect, and great people can emerge from any nation. But some people will always face greater challenges because of where they live. Those of us who have been born as American citizens need to remember from time to time that we hit the citizenship lottery.